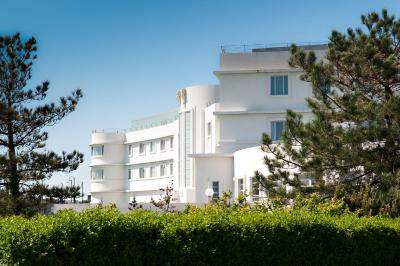 Lock in a great price for Midland Hotel – rated 9.1 by recent guests! Staying in a stylish and historic building. Loved the Art Deco features. 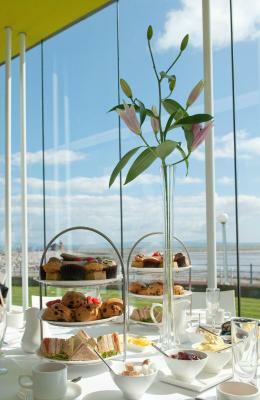 Lovely dining room looking out over Morecambe bay. View was lovely but very expensive and being on a lower floor meant that it was obstructed slightly by the flat roof below. 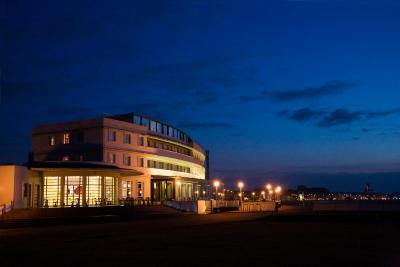 We selected this hotel after seeing it featured in an episode of the Poirot television series. 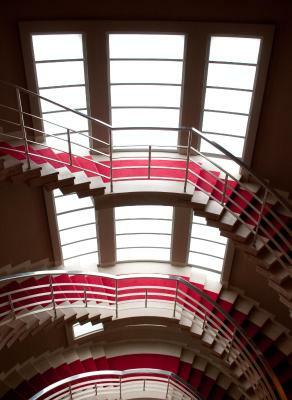 It is an Art Deco Hotel that has been well preserved. It's location on the shore provides great scenery and good opportunities for jogging or strolling. Staff were extremely friendly and helpful. Hotel was clean and well appointed. Loved the Art Deco building. 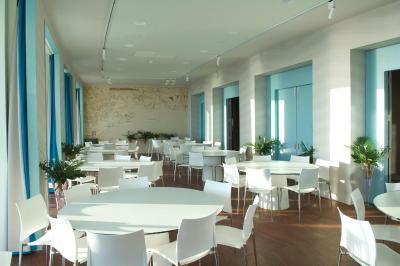 The design of the rooms was clever to get modern facilities in an old hotel. The restaurant food was exceptional - though the main courses better than the desserts. The staff were brilliant. 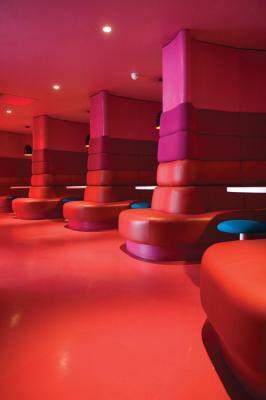 The room was well-designed and unusual. A room on the sea side would have been even better but they are more expensive. Fresh milk in the fridge in the room - a real bonus! It is such an iconic design - outside and in so that is an immediate feel good factor. The massage at the spa was excellent. 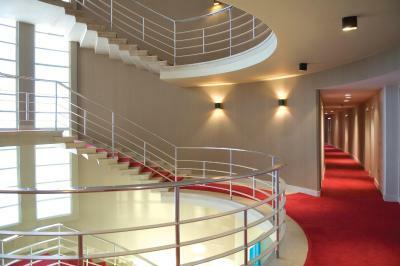 The accommodation was very modern internally and art deco style externally to a high standard and to a good mix of styles. 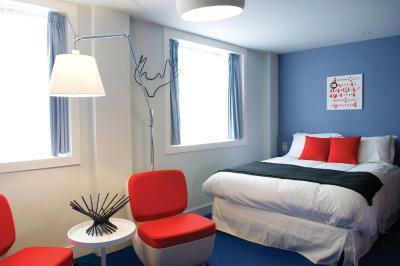 The design of the bedroom facilites was excptional. We thoroughly enjoyed opening the doors and discovering what was behind them! 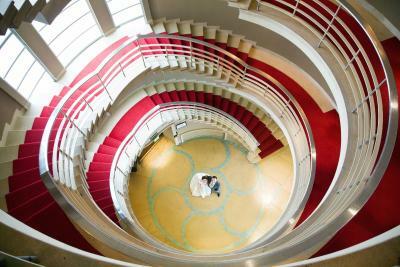 The hotel is stylish & friendly with a wonderful Art Deco staircase. Dinner and breakfast were good - service was efficient & attentive. Friendly welcoming staff. It was my wedding anniversary the staff kindly left an anniversary card on our bed. Food was excellent. Toiletries etc all high standard. Breakfast excellent, lots of choice all cooked to a high standard. 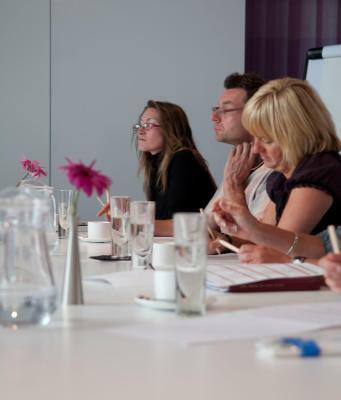 Midland Hotel This rating is a reflection of how the property compares to the industry standard when it comes to price, facilities and services available. It's based on a self-evaluation by the property. Use this rating to help choose your stay! 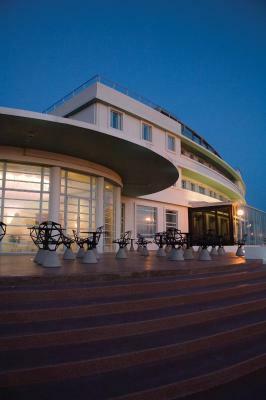 With a great seafront location, this Grade II heritage-listed Art Deco design hotel boasts free Wi-Fi, a spa and a stylish interior. Morecambe Train Station is a 5 minute walk away. 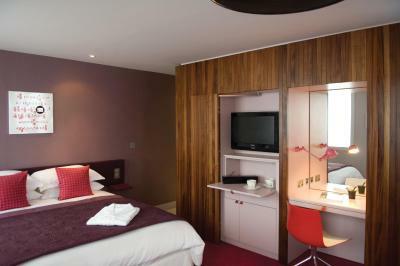 Midland Hotel offers sleek, boutique style rooms each featuring a flat-screen TV, sitting area and an ultra-modern private bathroom. Some rooms have spectacular sea views. 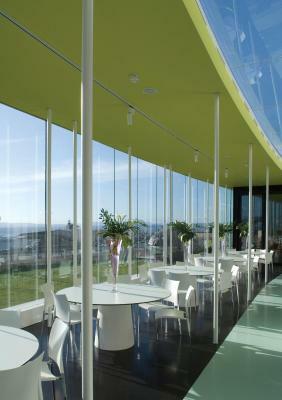 Guests can sample modern British cuisine in the Sun Terrace Restaurant. 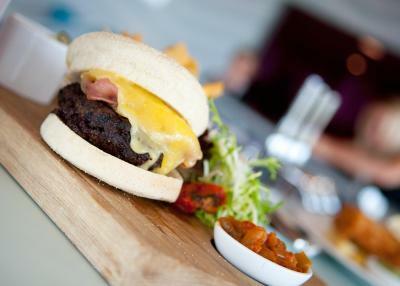 Using fresh, local ingredients, there are seafood specialties from the Irish Sea and Morecambe Bay. 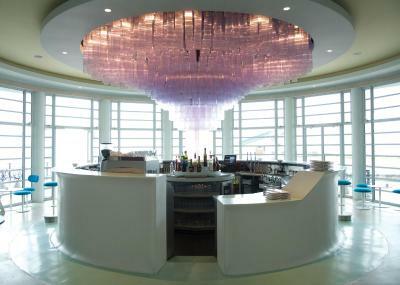 The Rotunda Bar offers idyllic bay views while guests can choose from light meals, seasonal cocktails, fine wines and a range of beers. The Midland Spa offers a range of luxury treatments to help guests unwind. 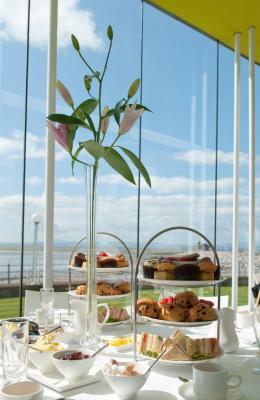 When would you like to stay at Midland Hotel? 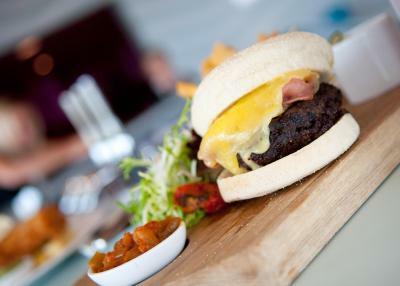 House Rules Midland Hotel takes special requests – add in the next step! One additional child from 0 to 15 years is charged GBP 25 per night in an extra bed. Midland Hotel accepts these cards and reserves the right to temporarily hold an amount prior to arrival. 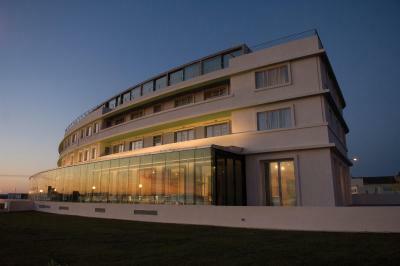 Please note that an extra bed can only be accommodated in a Classic Sea view room. Please contact the property to arrange this in advance. Unable to get a table in the restaurant, had to eat in the bar. Perhaps I could have been advised to book the restaraunt when I booked the room as you are open to non residents for dining . Room balcony unpleasant and run down - not what expect for £200 a night and not worth the upgrade. Amazing breakfast, friendly helpful staff. 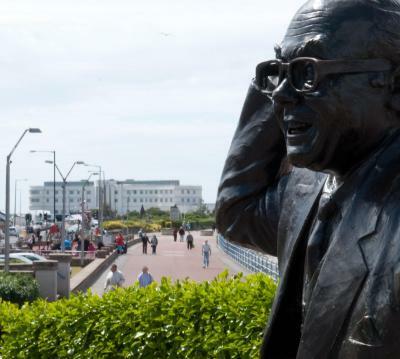 Morecambe is in massive need of a spruce-up, but the mooted Eden Project might bring investment. Quirky rooms, great views, nice staff. Dinner and breakfast both excellent. 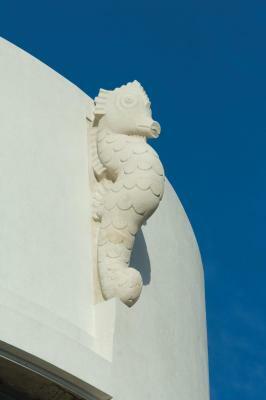 An Art Deco icon. drinks at the bar before closing time were booked on room and charged at night porter rates ! The carpet in our room needed a deep clean. There were lots of stains on it. The room was spotlessly clean ( other then the carpet). It was very well equipped and very comfortable. The room itself was spacious and had an excellent sea view. We also liked the fact that we could control our heating. The breakfast was very nice with good quality produce. Although our evening meal was pricey it was a beautiful meal with good quality products and cooked to perfection. The location of the toilet in the room. The view from our room and from the dining room.The quality and taste of the food. The comfort of our room and bed . My 2nd visit to The Midland and it was perfect as always, our dog Trigger was very well looked after! The evening meal and breakfast were top notch. I had a room away from the sea and this did give road noise at night. The bathroom is a bit unusual and has been designed to make an en suite in rooms which were not originally designed to have them. A lot better than Citizen M hotels though! There was no hot water at night or in the morning and this isn't what you expect in a 4 star hotel. I was able to heat water in the kettle though for a wash. If staying again I will opt for a sea view although these are more expensive and need even longer in advance for booking. 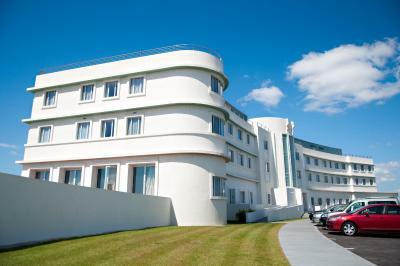 Iconic Art Deco Hotel on the front of Morecambe's lovely promenade. Lovely food and restaurant setting looking over the water with sunset every night. Very pleasant staff. Walking distance to the train station. Cinema across the road. Easy to reach destination and worth spending time in this historic hotel. Apart from Bargh Island Hotel, which is more difficult to get to, you won't find another like it in the UK. Airy foyer. The bed was to firm. The service the food ,and the view.